Several species of Sylviid face serious threats. Many of these species are greatly range-restricted, with small populations inhabiting a single island or tiny patch of isolated habitat. Nearly one third of these threatened species are found in tropical Africa. About as many are endemic to small oceanic islands. 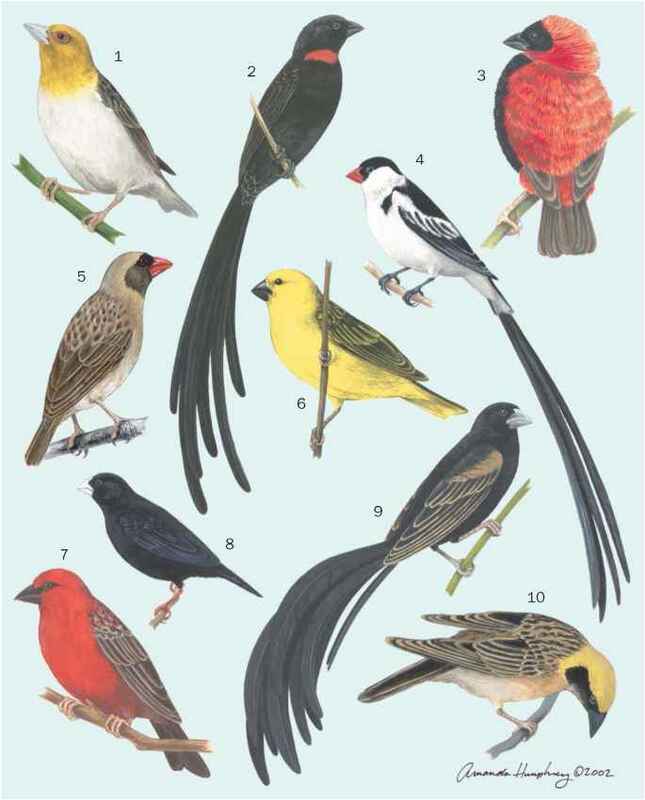 The genera with the largest number of threatened or Near Threatened species are: Acrocephalus (15), Apalis (7), Bradypterus (6), and Cisticola (5). 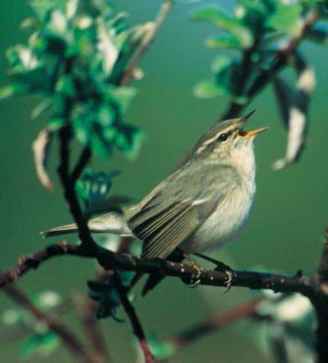 The reed-warblers (Acrocephalus), are among the most widespread of the Sylviid genera, but their colonization of island habitats makes them vulnerable to anthropogenic and climatic threats. Acrocephaline species that have large ranges are presumably able to survive loss of habitat. However, island populations, and those species with small or already fragmented ranges are susceptible to habitat destruction and introduction of nonindigenous species. The aquatic warbler has probably suffered dramatic population declines due to destruction of its riverine marshland habitat in Eastern Europe and Western Siberia. IUCN lists it as Vulnerable. The Seychelles warbler is an island species whose population had drooped precipitously to a mere 26 birds occupying the small Cousin Island in the Seychelles. Intensive management of the island resulted in a dramatic increase over the past thirty years, with the island reaching apparent carrying capacity in the early 1980s. Recent translocation efforts have expanded the range of the Seychelles Warbler to include two more islands. The millerbird (Acrocephalus familiaris) is the only Sylviid to colonize the Hawaiian Archipelago. Historically, two populations, which were usually regarded as separate species or subspecies, inhabited the islands, one on Laysan and one on Nihoa. The Laysan form became extinct in the early twentieth century, after much of the native vegetation was destroyed by rabbits. The Nihoan form persists on the steep, rocky slopes of this tiny volcanic island. The Nihoan millerbird is listed as a Federally Endangered species in the United States. A 1996 USFWS population estimate was 155 individuals. Many of the Endangered African species are found in threatened East African forests. A bird that may once have inhabited natural forest clearings, Artisornis moreaui, is limited in its dispersal ability by very weak flight. Forest clearing in its very small range may lead to the extinction of this highly local and poorly known species. Six species of Apalis, most found only in the highland forests of one or a few mountain groups of East Africa from Kenya to Mozambique, face serious conservation risks, as do rare species of Bathmocercus, Chloropeta, Cisticola and Eremomela. Several threatened species in the genera Acrocephalus, Bradypterus, Cettia, Megalurulus, Megalurus, Locustella, Phyllo-scopus, and Orthotomus occur on islands in Southeast Asia and Australasia. Among the kinglets, there has been only a single subspecies faced with serious conservation threats. Regulus calendula obscura was endemic to a highly restricted area of cypress groves on the island of Guadalupe. The species was last seen in the 1970s and is considered Extinct. Among the Polioptilinae, only one species, the creamy-bellied gnatcatcher, Polioptila lactea, is is Near Threatened. This species inhabits lowland coastal forests (to 500m) of Brazil, Argentina, and Paraguay, primarily in the Paraná basin. Its habitat has been severely reduced and deforestation continues to pose a threat to its remaining small habitat.